Cedar House is an independent folk trio made up of bandmates Jonny, Rachel and Kelly. 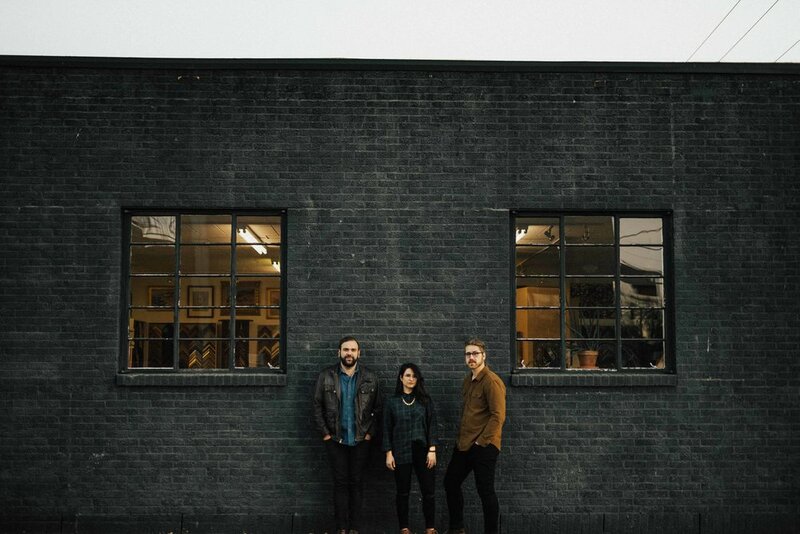 They write and perform together primarily as an acoustic trio, but also play venues with a full band backing them to capture their songs in a larger sound. “Let You Down” is full of themes wrestling through stages of grief, love, loneliness, hope and regret, capturing the beauties and tragedies of relationships. “Let You Down” is the first release by Cedar House. Recorded at Atria Creative’s studio, housed inside of Old Blood Noise Endeavors. The EP was mixed and mastered by Chad Copelin of Blackwatch Studios. Blake Studdard engineered and co-produced with Cedar House. This EP is the first of two and chronicles one of the band’s earliest and most recent songs, spanning from an intimate acoustic experience to a driving, full and immersive sound. The basic assumptions about Americana aren't in play here, as there's influences from Jason Isbell and The Civil Wars but it rivals The National and My Morning Jacket's fuller sound, too. Vintage and modern, all at the same time." The Let You Down EP is currently available for streaming and download.